Home/Topics/Time For US to Assist F.A. S.
Home › Forums › Community Meetings and Events › Time For US to Assist F.A. S.
This topic contains 0 replies, has 1 voice, and was last updated by Rana Goodman 1 week, 5 days ago. 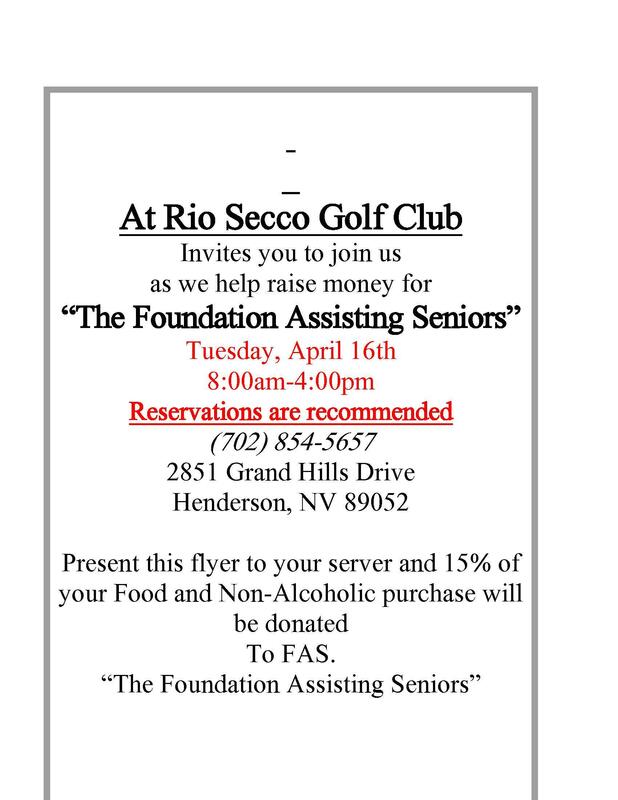 Everyone is invited to print out the attached flyer and enjoy to a fabulous lunch at the magnificent Rio Secco Golf Club. The Foundation Assisting Seniors will receive 15% of the total food and non-alcoholic beverages on each and every check of those attending BUT you must bring the flyer with you.